Bevan's Own Made Candy is a third generation owned and operated candy store. It is owned by Randy Bevan, grandson of the original founders. In business for 52 years, Bevan's Candies began in 1959. His son Marty and daughter in law soon became a part of the business. By this time, many people from all over the area had heard about the custom hand made chocolates and other treats. The store expanded. The candy store and factory had now become a favorite stop for many from all over Delaware County. 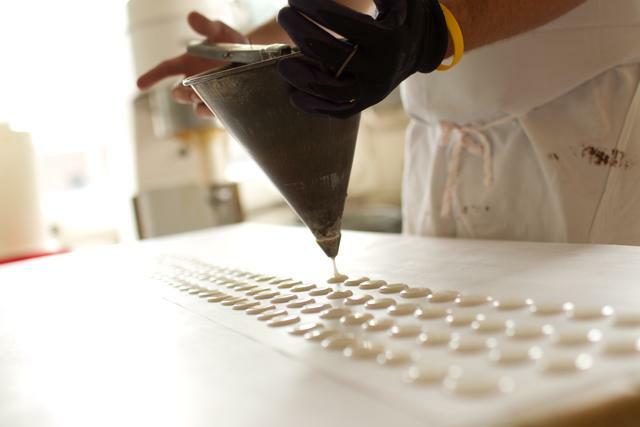 Providing many favorite gourmet candies, each one is hand-made and made to be delicious. Bevan's Own Made Candies has a full selection of candies for all occasions. Specialties include butter creams, assorted chocolates, nut clusters and more. The list goes on and on and is sure to include your favorites! Candy lovers know our creamy white colored boxes with our traditional Bevan's logo. Visit our store to choose your favorite Bevan's Own Made Candies. Just living is not enough... One must have sunshine, freedom, and a little chocolate.